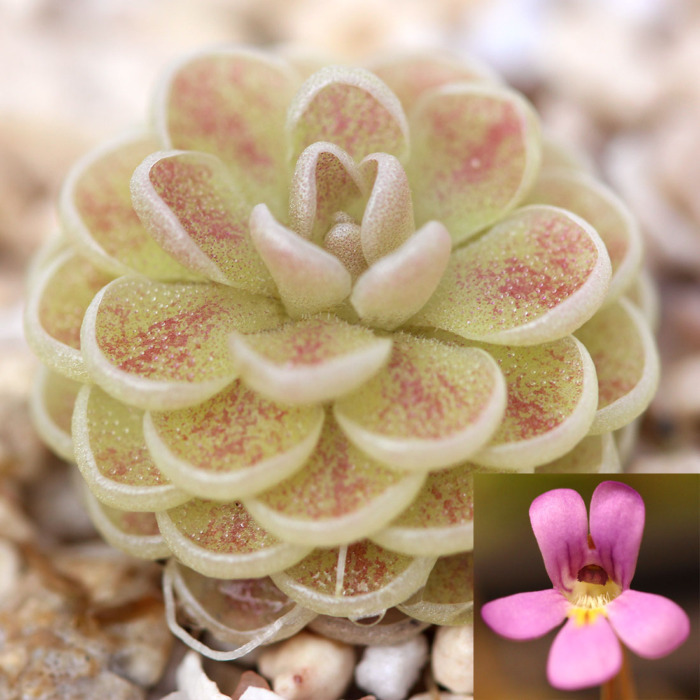 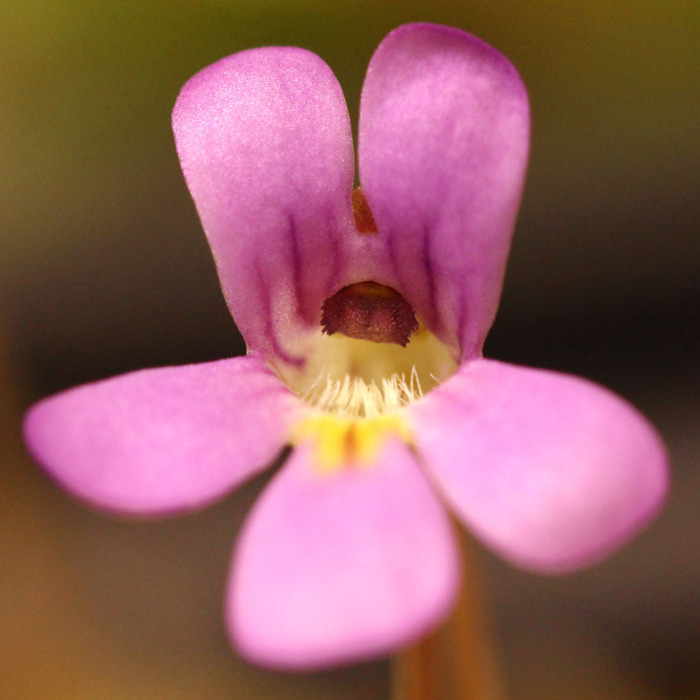 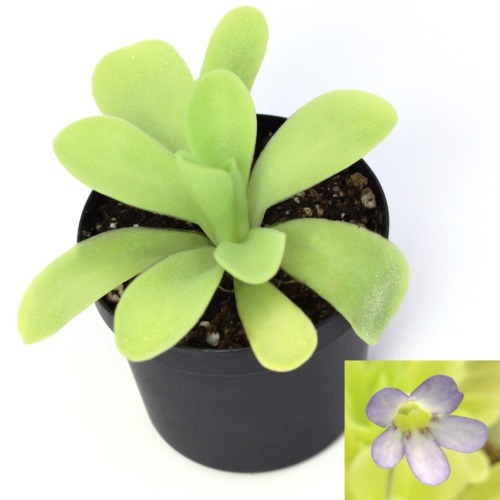 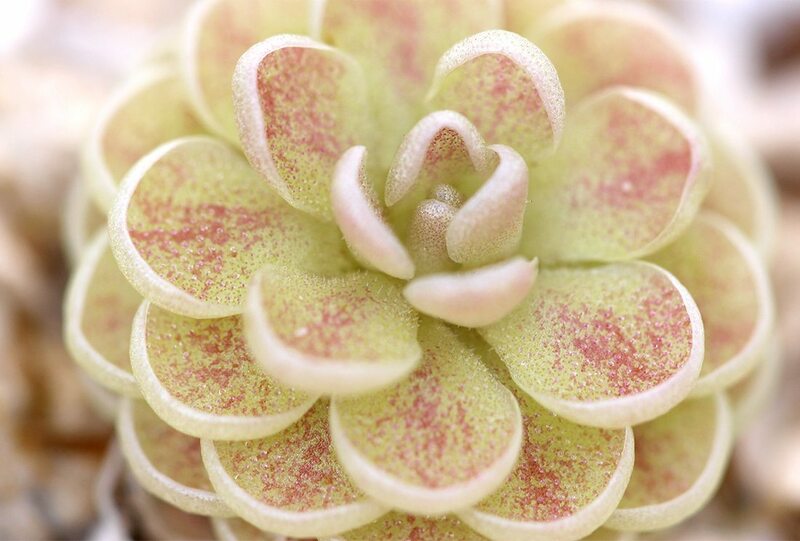 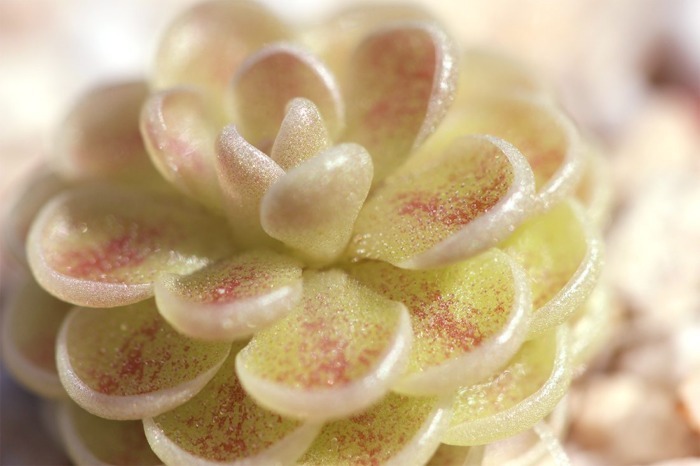 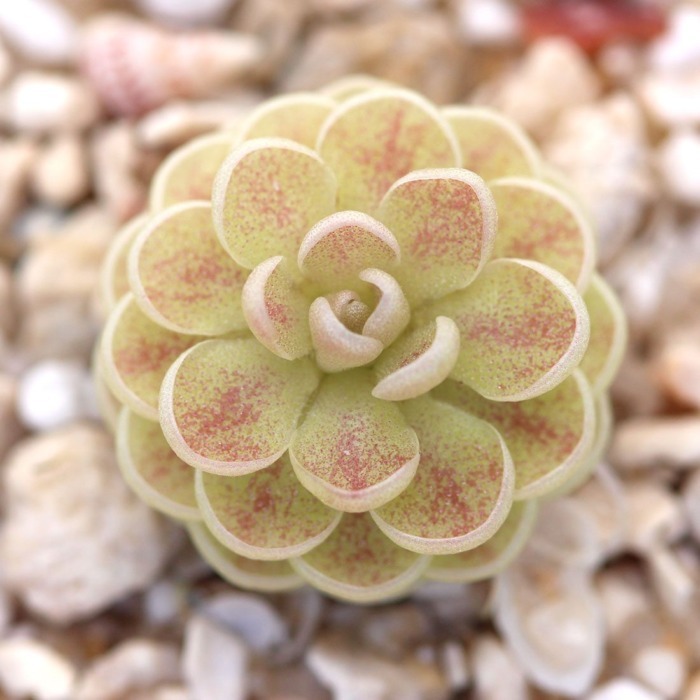 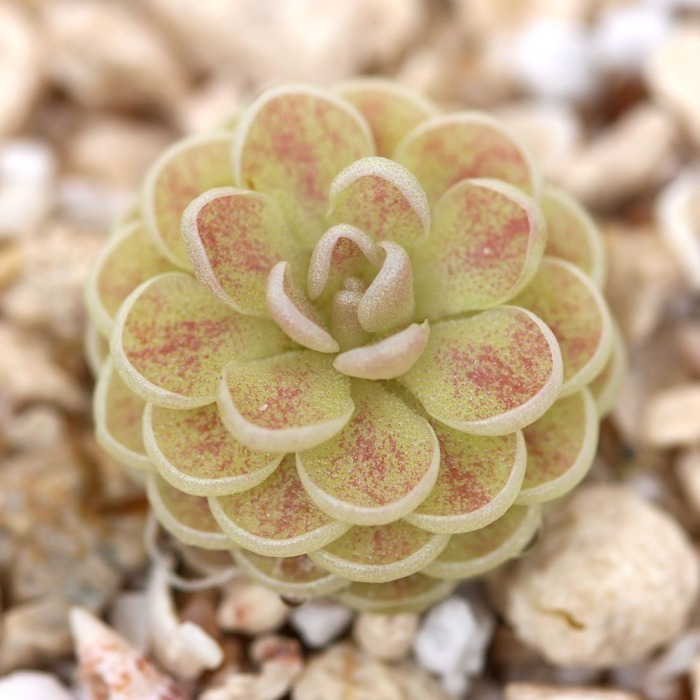 Pinguicula jaumavensis was first collected in 1991 by Paul Debbert and is closely related to P. esseriana. 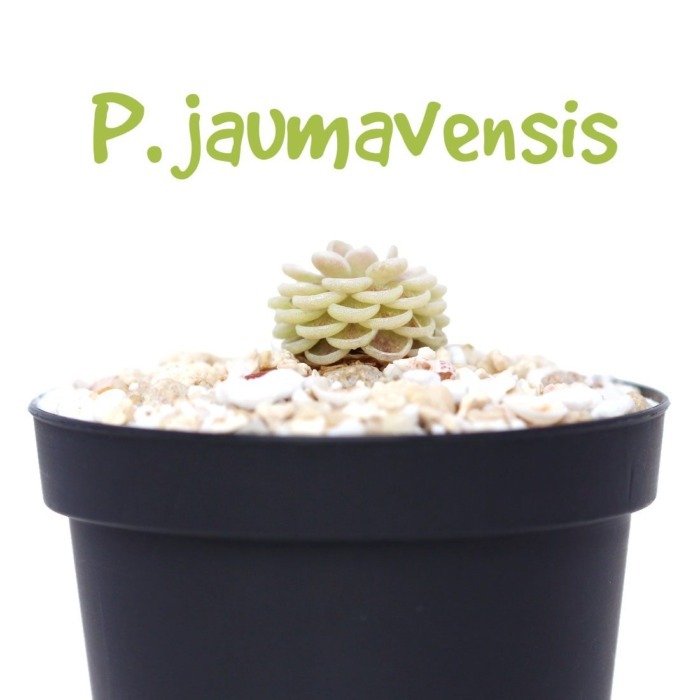 P. jaumavensis is native to the Jaumave area in Tamaulipas, Mexico where it grows on limestone walls. 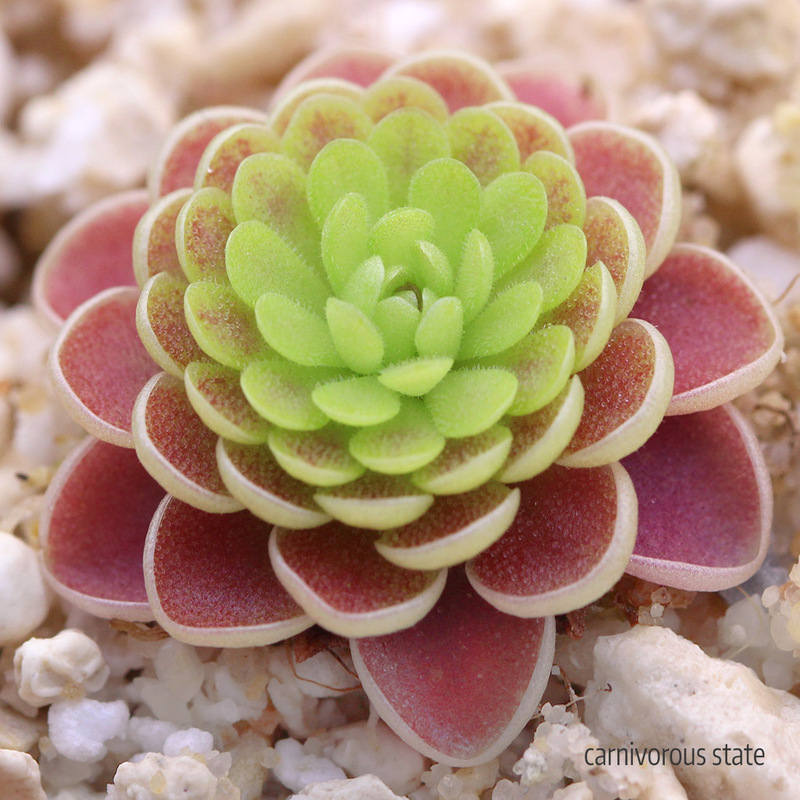 During its active growing season, the carnivorous leaves form “drool edges” so dew and trapped prey won’t slide off as easily when it rains. 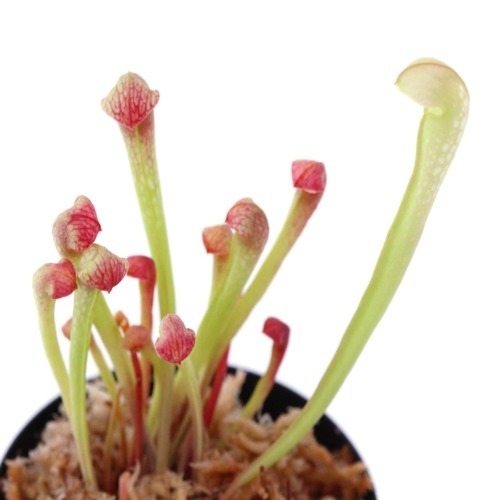 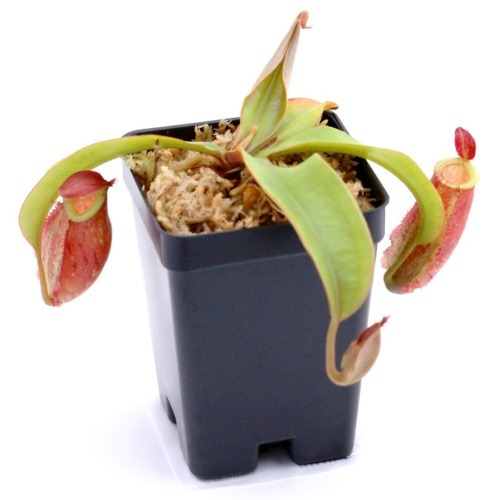 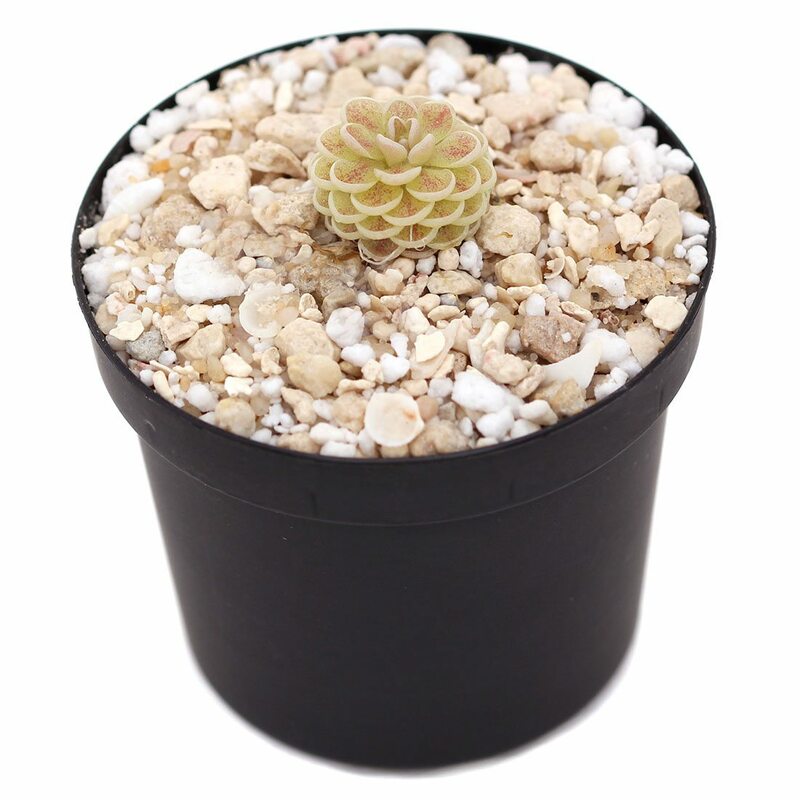 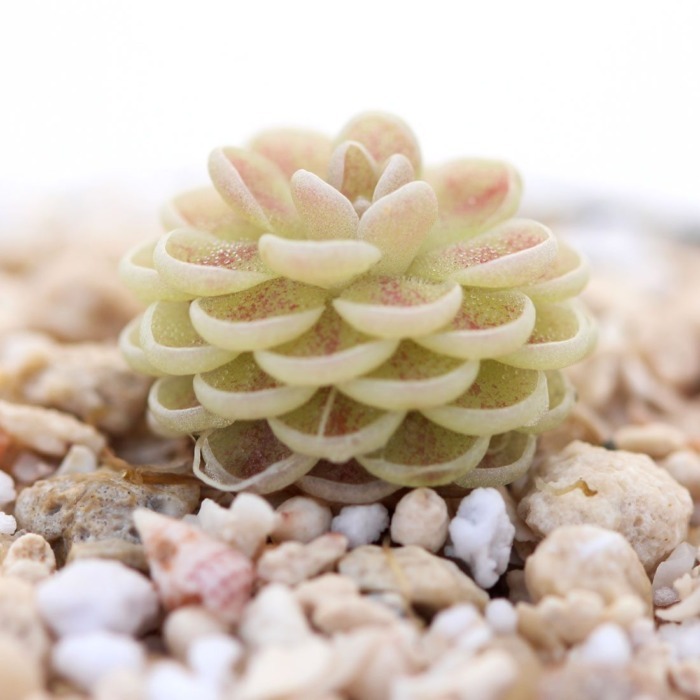 In cultivation, P. jaumavensis prefers a loose substrate with a neutral to slightly alkaline pH.